The Gtechniq MF6 Haze Buster Microfiber Towel is the perfect microfiber towel to use when removing any excess coating! When applying coatings, especially ones formulated for a thicker layer of protection, hazing can occur if all residue is not removed during the final wipe. The MF6 was specially designed with a closed loop, high polyamide, sonic cut, hemless edge and 300gsm weight. These high-quality features and low microfiber nap allow the towel to glide across the surface, removing coating reside with ease. 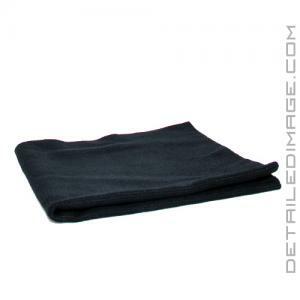 Even if you are not applying a coating, this towel is great for anything from final wax and sealant wipedowns, use with instant detailers, interior work, or if you simply enjoy microfiber towels with a low nap. Once you are finished using, we always recommend washing microfiber towels with a microfiber specific shampoo, cold water, and letting them air dry for best results. If a high quality, low nap, microfiber towel is desired, the Gtechniq MF6 Haze Buster Microfiber Towel could be exactly what you are looking for! Super quality. Love using it. Will buy more ! Fantastic Towel, and I think anyone who is serious about their cars should have 1-2 of these towels. This towel does a significantly better job than the MF1(standard microfiber buffing towel for gtechniq) when it comes to removing excess product for a coating, or very stubborn polish. For example I recently did a 2 stage buffing on one of my cars, and the polish I used was extremely stubborn to say the least. My MF1 didn't want to take the excess polish off without a lot of elbow grease, but the MF6 made quick and easy work of it. Please note that you shouldn't replace your MF1's/standard micro fiber towels with the MF6, MF6 is just another tool to have when you need it. Highly recommend to anyone that does their own coatings, or works with polishes.